Many of our customers are often surprised to find out that we can service their vehicle, without voiding their factory warranty. It is a common misconception that you have to get your vehicle serviced at the dealership you purchased it from. 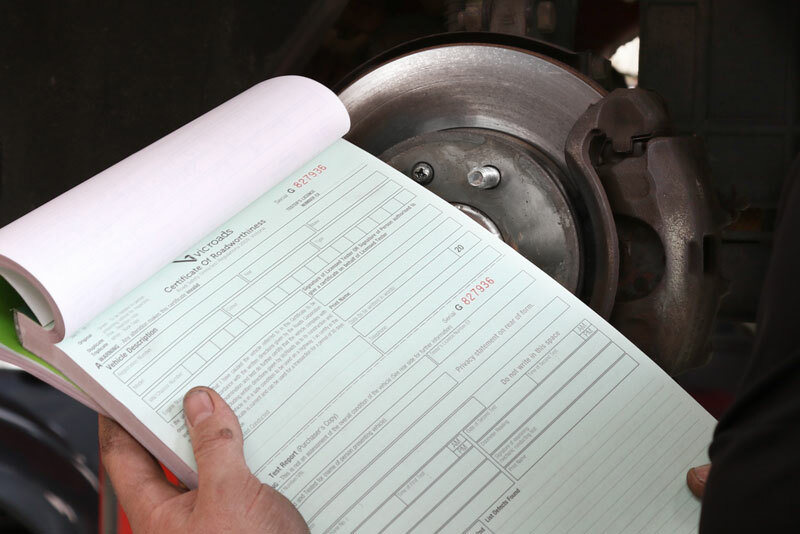 Our factory trained technicians can perform your vehicle’s logbook servicing without voiding your factory warranty. 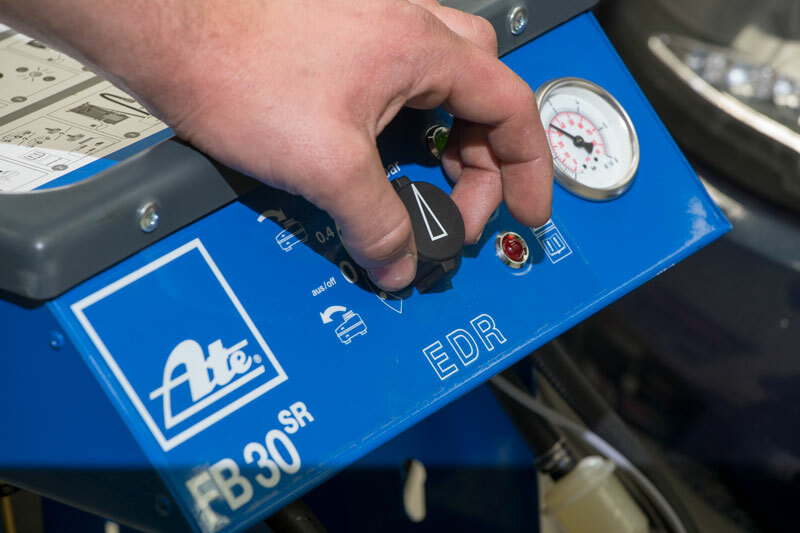 Our skilled mechanics adhere to your manufacturer’s service guidelines and utilise OEM components to make sure that your warranty isn’t voided, while still receiving our prompt and professional service. Our workshop provides the perfect alternative to having your vehicle serviced at a dealership. Contact us today, and book your next logbook service with Peerless Automotive. 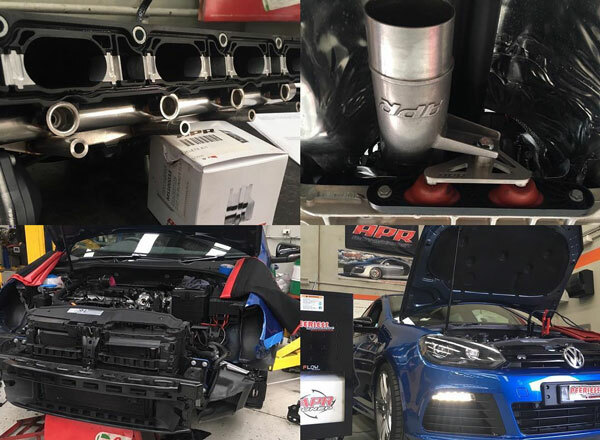 If you’re looking to get the most out of your vehicle’s engine, our team are experts in all forms of performance upgrades for European vehicles. We can supply and fit a range of performance components, tuning them specifically for your driving requirements. All of our aftermarket component suppliers are renowned for their quality and durability. The sky is the limit when discussing your upgrades with our team at Peerless, from minor upgrades through to complete engine overhauls, we’ve got you covered. 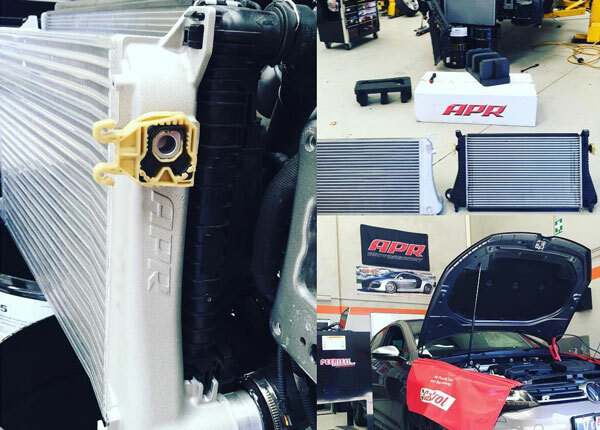 Our team will take the time to discuss your requirements to provide the best performance upgrades for your vehicle. 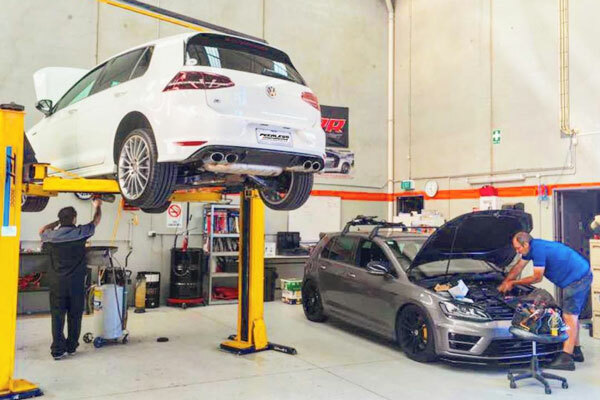 If you’d like to find out more about how we can help with your European vehicle performance upgrades, contact us today. Before selling or transferring ownership of your vehicle to a third party in Victoria, or before re-registering a car that’s been off the road for an extended period of time, it’s required that your vehicle be deemed roadworthy. This process involves an in-depth inspection of your vehicle’s essential systems and safety features. Peerless Automotive is a VicRoads licensed vehicle tester, able to conduct roadworthy inspections and issue Roadworthy Certificates for used cars, allowing owners to advertise them for sale or re-register them for the road. We also offer pre-purchase inspections for used car buyers, for added peace of mind before you part with your money. To find out more about our safety inspections, or to book one for your vehicle, contact us today. If you’re looking to improve your vehicle’s traction and handling, we can upgrade steering and suspension components on your vehicle. 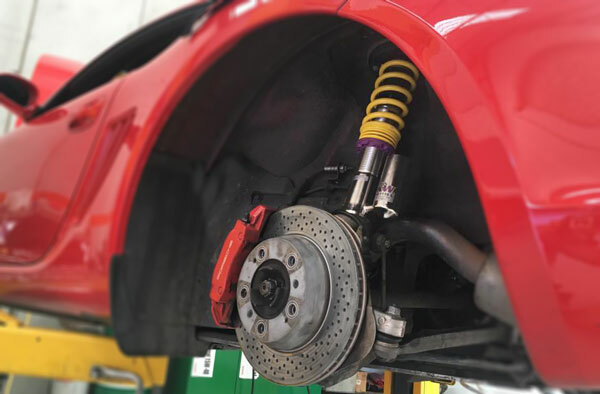 Whether you’re just looking to lower your vehicle for improve aesthetic appeal, or you’re interested in coilover suspension upgrades for increase precision behind the wheel, we’ll find the right solution to suit your needs. We can supply and fit components from a range of reputable manufacturers. Give us a call today to find out what else we can do for your steering and suspension system. Problems with the vehicle’s exhaust can manifest in reduced power caused by poorer air flow through the engine, hissing noises from under the vehicle, or increased fuel consumption. At Peerless Automotive we can repair or replace your current exhaust with new OEM parts, or an aftermarket performance model. A new or serviced muffler or exhaust will result in a more pleasant engine note, cleaner emissions, and a stronger, healthier engine. 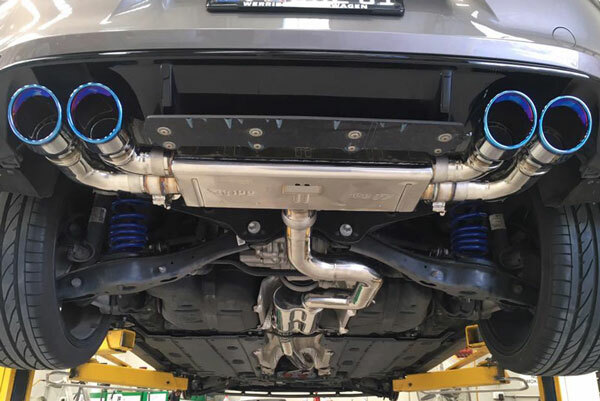 Contact us today to find out more about our exhaust services. 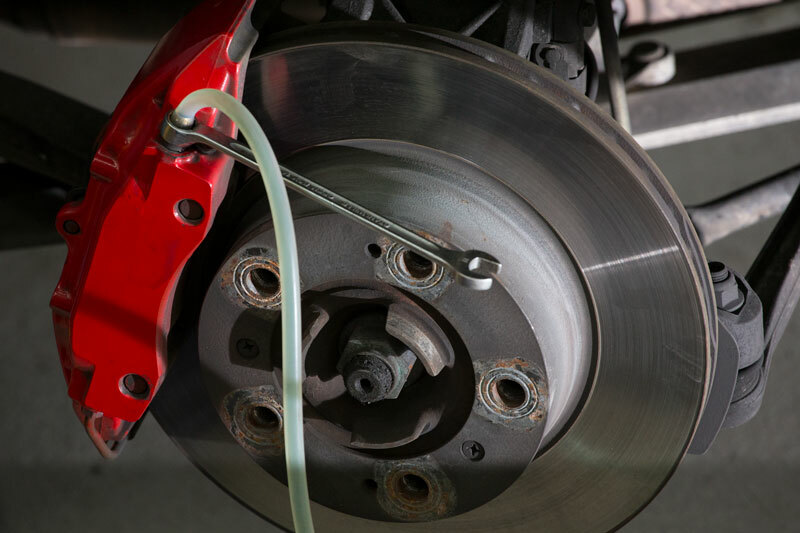 If you’re looking to maximise braking performance, our team have a range of brake repairs, services and upgrades to improve brake power and reliability. Brake issues that go unchecked can result in a loss of stopping power, shuddering when slowing down, and increased tyre wear. To organise a booking for your vehicle and to discuss any braking upgrades, give us a call today. Your vehicle’s transmission is a piece of precision machinery; a minor fault can quickly become an expensive repair. If you notice your vehicle having trouble shifting gears or staying in gear, or strange noises or burning smells coming from under the bonnet, it’s best to have your car checked for transmission trouble before it escalates. 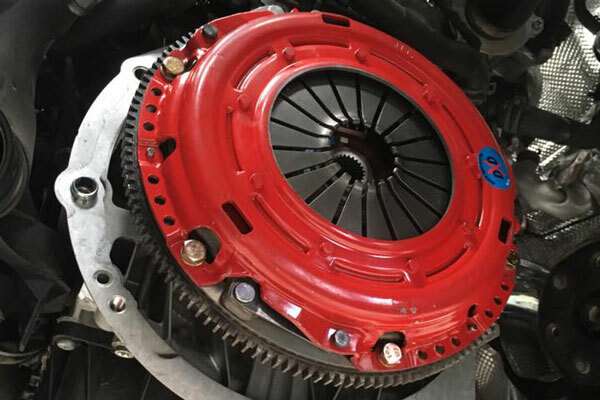 We’re able to service your vehicle’s drive train, from clutch issues to your vehicle’s manual or automatic transmission. We’re also able to offers customers a great deal on our range of replacement transmission units. Contact us today to find out more about our range of transmission services and repairs. High performance engines require an adequate cooling system to keep them operating at the correct temperature. If your vehicle is overheating, these issues should be quickly repaired to ensure no major damage occurs. We can test all cooling systems to ensure optimal flow to prevent your engine from overheating. To find out more about our radiator and cooling services, call us today. As cars get more and more sophisticated, and rely more on electrical systems, ensuring that enough power can reach your vehicle’s various on-board devices is crucial to vehicle performance and driver comfort. Our team can isolate the cause of an auto-electrical fault with the latest in cutting edge diagnostic tools and equipment, and can also conduct repairs on a vehicle’s essential components, such as alternators and starter motors. If you think your vehicle might have a loose wire or a more serious electrical problem, book it in for a service by contacting us today. To ask about any of these additional services, or to make a booking, contact us today.